I’m back at the Black Fox Lounge, Wednesday, January 1, 8 to 11 p.m., after a surprisingly strong turnout this past New Year’ s Day. Joining me (vocals) will be Oren Levine (piano) and Eliot Seppa (bass) playing Great American Songbook jazz classics and much more. 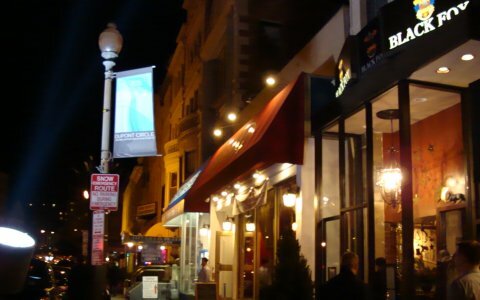 We’ll be in the street-level window of the the Black Fox, which is at 1723 Connecticut Ave., NW, Washington, D.C. There will be food and drink for you, but, as always, no cover charge. Click here to sign up for Jeff's e-mail list and to get notices about upcoming appearances. Sat., April 6, , Mr. Henry’s, 601 Pennsylvania Ave SE, from 8 to 11 p.m. Sat., June 1, , Mr. Henry’s, 601 Pennsylvania Ave SE, from 8 to 11 p.m. Sat., Sept. 14, Mr. Henry’s, 601 Pennsylvania Ave SE, from 8 to 11 p.m. Sat., Dec. 14, Mr. Henry’s, 601 Pennsylvania Ave SE, from 8 to 11 p.m.